Situated on 23 acres in sunny Leamington, the most southerly community of mainland Canada, the Sun Parlor Home began in 1901 as a small “House of Refuge” for individuals who needed a place to stay in Essex County, Ontario. 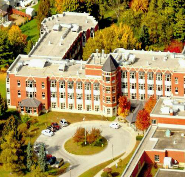 Originally a farm house that was founded by a caring community, today, the not-for-profit, municipally owned, and subsidized long-term care home, maintains 206 beds in 146 private rooms, 60 semi-private rooms, and 83 basic rooms. 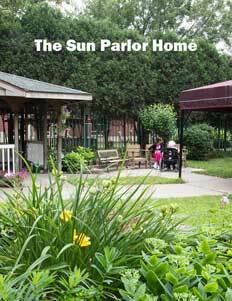 The Sun Parlor Home is one of 629 long-term care homes in Ontario. The Home is sanctioned by the Ontario Ministry of Health and Long Term Care to provide services to residents who live within the Erie-St. Claire, Local Health Integration Network (LHIN) (which also encompasses Chatam-Kent, Sarnia-Lambton, and Windsor-Essex) and the province of Ontario. Its funding comes from the government of Ontario, as well as from local taxes and accommodation fees paid by its residents. In order to apply for residency at the Sun Parlor Home, an individual must be assessed the local CCAC (Community Care Access Centre). Using a standardized assessment, the CCAC will determine if a person can, or cannot, remain safely at home, or if he or she requires a certain level of care. Once an individual is deemed a suitable candidate for a long-term care home, the individual, or his or her family, can identify which home they’d like to consider and then apply for admission. For all of its residents, the Sun Parlor Home provides 24-hour nursing and personal care; access to a doctor and other health professionals; bedding and furniture; laundry and housekeeping; nutritional meals, three times a day; personal hygiene supplies; medical supplies and equipment; assistance with medication and the activities of daily living; and a host of recreation and social programs. Also at the Home is a special unit for residents with dementia, and Alzheimer’s disease, as well as for those with non-aggressive, dysfunctional behaviors of mild to moderate intensity and frequency. While many care homes may offer a similar claim regarding their own personnel, in the case of the Sun Parlor Home, the assertion is particularly accurate. Because the community in around Leamington is so small and close-knit, many of the Home’s 310 employees actually already know a lot of their residents long before they come to live there. In fact, some of the people they are caring for have been well-known to the Home’s staff all of their lives. Monik goes on to explain how she and her staff are “always looking for new ways to make things better for our residents,” and offers three imperatives that underscore what, she believes, contributes to quality care: First, she maintains that it is necessary to keep the residents active and socially engaged, while providing activities that meet their level of cognitive functioning. Second, is making meals a festive and important part of the day – sometimes inviting local chefs, restaurateurs, and volunteers from the region’s local wineries to prepare special repasts. And third is attending to residents’ personal care and appearance – making sure they are well-dressed and coiffed so that they always look their best. The Sun Parlor Home is not planning any major additions or expansions in the near future, but Monik says that they are intending to make the Home look more “homey,” while simultaneously upgrading the safety aspect of the residents’ room furniture. Also planned is a cosmetic upgrade of the dementia and Alzheimer’s unit’s courtyard. Adding a water feature, more flowers, and perhaps a habitat for birds and butterflies, will allow the patients to better focus and enjoy the Home’s natural ambience. 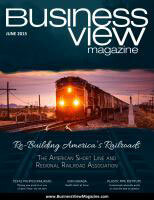 A one-time bequest of $450,000 from a former resident is sure to help. With its dedicated staff and over a hundred years of devoted service to its community already well-proven, it is a sure bet that the Sun Parlor Home will continue its tradition of providing resident-focused care for the citizens of Essex County for many more years to come.